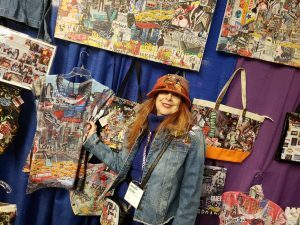 I first covered BroadwayCon for The New York Theatre Guide in 2016 when it arrived at the Jacob Javits Center. 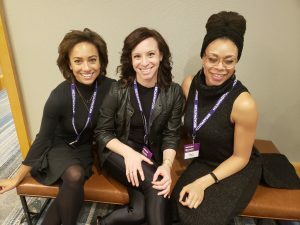 As I continue to live the life of someone who won’t say no to anything, I found myself at The New York Hilton in Manhattan this past weekend January 11th to 13th, covering BroadwayCon once again this time for StageBiz.com. 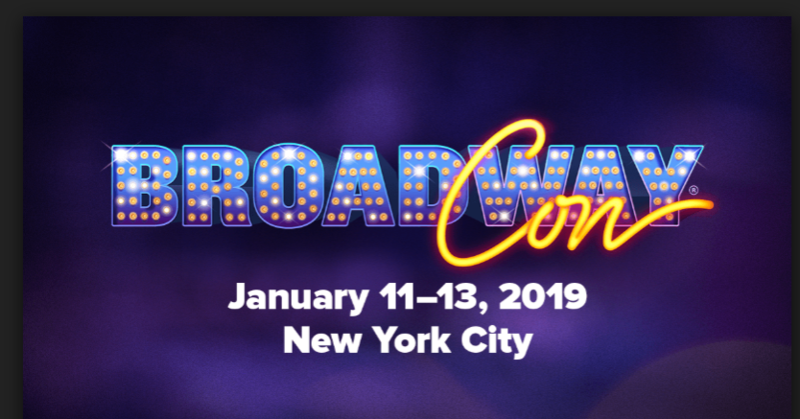 BroadwayCon is a convention in the vain of ComicCon except, well, Broadway. From seminars to classes, to a kitsch mall, to thousands of cosplayers. I saw more Mary Poppinses than you could wink a nose at. 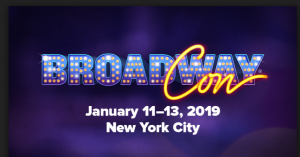 BroadwayCon is a place where you can find some of the most interesting apparel, performance schools and a 20 dollar glass of high end root beer. Nothing says Broadway like Root Beer, right people? Sarcasm aside, it was delicious and I regret every dollar of it. Seemed like a good opportunity for Butter Beer with the popularity of “Harry Potter and The Cursed Child”, hindsight is 20/20. People come from all over the world to experience this incredible festival. 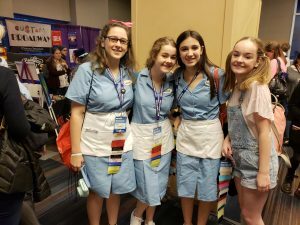 A Fan Convention for Broadways biggest fans was a genius move first back in 2015. The convention changes lives every year. The energy that each auditorium was filled with had no end. For 4 years, Broadway Icon Anthony Rapp, and his Production team have brought three days to the heart of NYC for a little indoor fun, at the coldest times of year. Having scaled down for a more intimate environment BroadwayCon moved from it’s home at The Jacob Javits Center to The New York Hilton on 54th and 6th. A much better sitting in my opinion that allows for more time in between for events and a closeness to an event that’s about bringing like minded individuals together. Jacob Javits Center is just too enormous. I got to check out some great panels. In 2015 I covered an event put on by BroadwayHD. A production of “She Loves Me” was filmed for Movie Theater Distribution. BroadwayHD has grown into something else and offers unlimited streaming of Broadway productions. Having grown exponentially since I first got in contact with them. What was truly impressive at this panel was having the opportunity to see how open the producers at BroadwayHD are, they allowed my associate Theresa to pitch a production of “Bat Boy” the story of a Yankee Bat Boy for a taping at the Tilles Center soon. 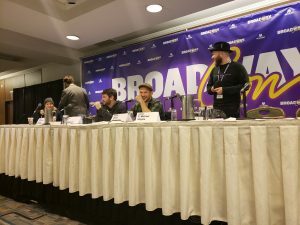 To watch that openness as options were pitched was a truly great thing to see at BroadwayCon and really goes to show how accesible everyone really is in the business these days. I’m big on serendipity. My favorite point of the Convention was my opportunity to check out “The Morons” panel. Andrew Kober, F Micheal Haynie, Drew Gasperini, Julia Mattison and Alex Brightman who will soon be playing “Beetlejuice” gathered once again to chat about how they met, where they are now and their futures in musical theater. In 2014 I had the opportunity to work as a stage manager for a workshop production of Marc Acitos one man musical, “How I Got Into College”, a musical based on Marc’s book of the same name that put Alex in the position of playing and singing as 22 different characters in a 80 minute one act. What a funny guy to have the opportunity to chat with once again before the opening of Beetlejuice. 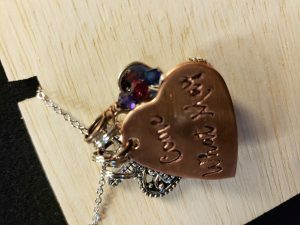 All in All BroadwayCon went off without a hitch. I truly look forward to seeing what they have next year and yes, I’ll have the root beer again, but that’s because I hate myself. D.B. is a long time writer and performer. He's had the opportunity to work alongside such greats a Martin Scorsese and Jesse Eisenberg. Most recently D.B. was a writer and performer for the podcast The National Lampoon Presents The Final Edition run by comic icon Tony Hendra, whom D.B. has also written with. D.B. was Senior Comedy Writer for The NY Theatre Guide, interviewing many greats and reviewing NYC Comedy. D.B. also has a script used as material in an NYU Tisch writing class taught by mentor, D.B. Gilles. D.B. has also taught Improv and Writing at UCLA and Cambridge University in the United Kingdom.